Great to see recognition for a fantastic (and cheap) Pugliese white…. 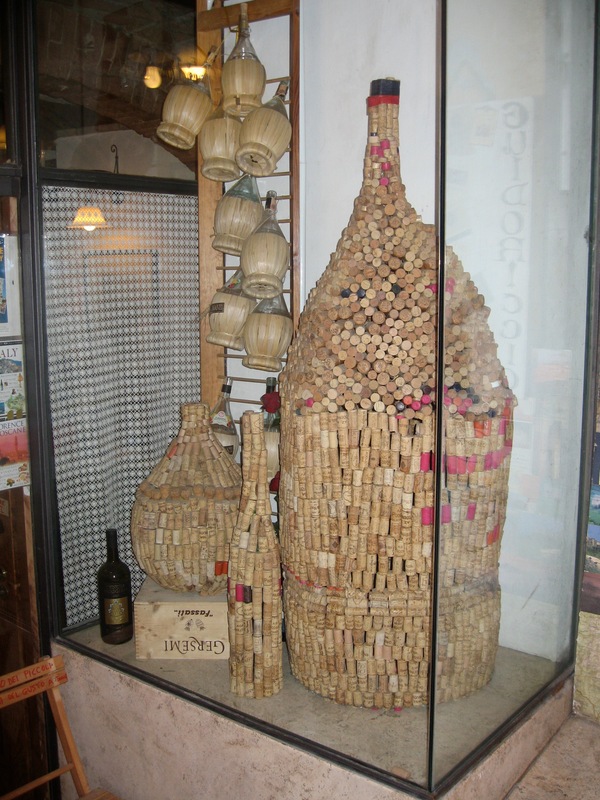 On my last trip to Italy last April, I did a 400km mercy dash to Puglia from Abruzzo to visit the wineries and vineyards of some of the producers I was interested in importing. One white wine blew me away and I ordered 400 dozen as soon as I tried it. 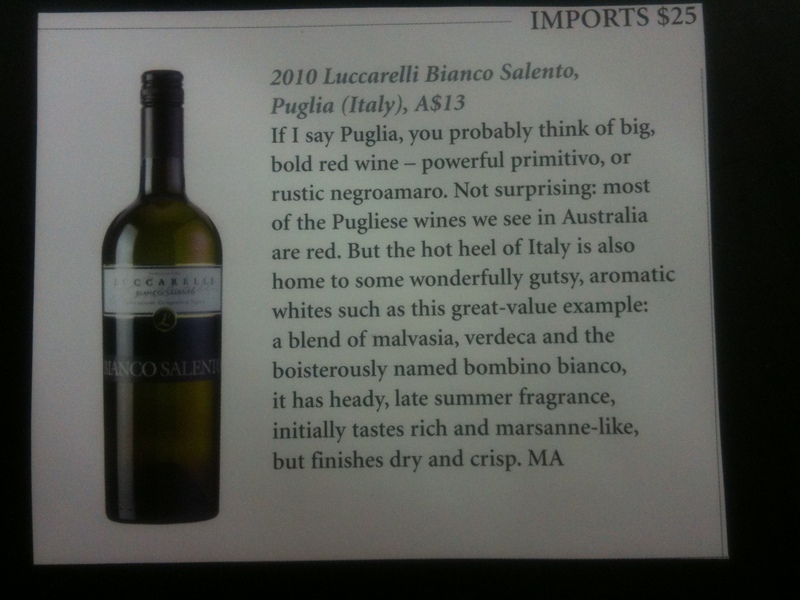 Well this wine: Luccarelli Bianco Salento 2010 from Puglia is now getting some fanstistic reviews from some of the best wine journalists in Australia. I always have a bottle of this wine in my fridge at at A$15 retail, it is such a fantastic wine. It has really good distribution in independent retail in Melbourne and Sydney as is already on the lists of some pretty smart Italian restaurants. Here are some other reviews and some background information on the wine. In the heart of D.O.C. Primitivo di Manduria area, centre of production of one of the most intense and scented Italian wines, the art of vine-growing has moulded the landscape through the patient and meticulous care of very old bush-vines, which are still manually treated, with millenary techniques dating back to the times of Basilian monks or even earlier to the ancient Greeks. Together with ideal climatic and environmental conditions, the bush vine system allows to bottle wines of great organoleptic quality, and uniqueness. The aim of Terre di Sava is to make its work the faithful expression of the traditions related to the territory it was named after, through a moderate, non-invasive use of modern vinification technologies. This intuition generated the Terre di Sava challenge: to enhance and make fondness grow around the villages, the bush vines, the grapes; ancient traditions – combined with modern technologies – which are never to be lost. Terre di Sava Bianco Salento is a beatiful coupage of varieties: Malvasia Bianca, Verdeca, Bombino Bianco. After thirty years of trying, we have finally purchased the last freehold property in the groups of shopfronts which our family retail wine and food business Boccaccio Cellars sits. We settled yesterday and it is such a weird feeling and still feels almost surreal. This now unifies all our buildings which is fantastic. All up we will have 100 metres of street fronts which we will now redevelop and aim to build a benchmark Oz but Italian inspired Supermarket. Wine (of course) and Italian imported goods (beer, mineral water, pasta, cheese, etc) will become an even bigger focus together with our own smallgoods and pasta. We hope that Boccaccio will a benchmark for all things Italian Food and Wine in Melbourne. Time for a glass of Champagne, it is long overdue!! 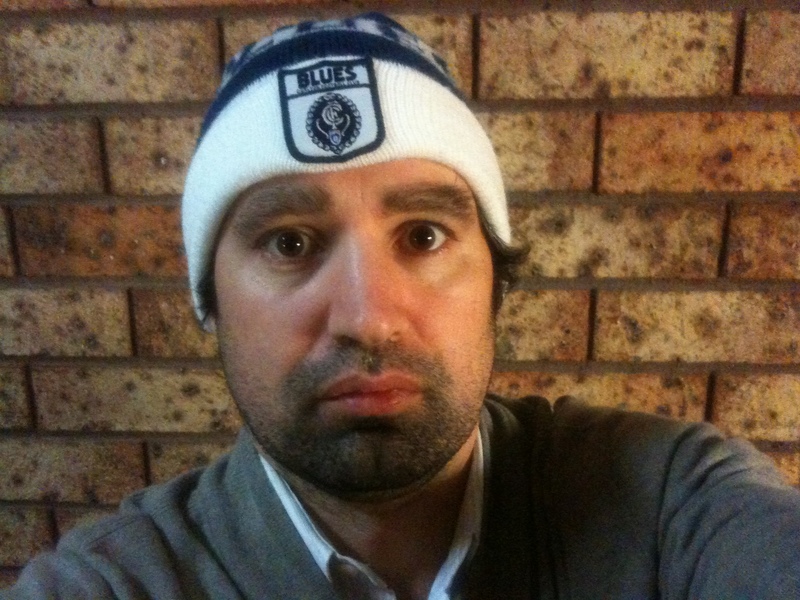 The time as come: Carlton into a final and I am going!!! 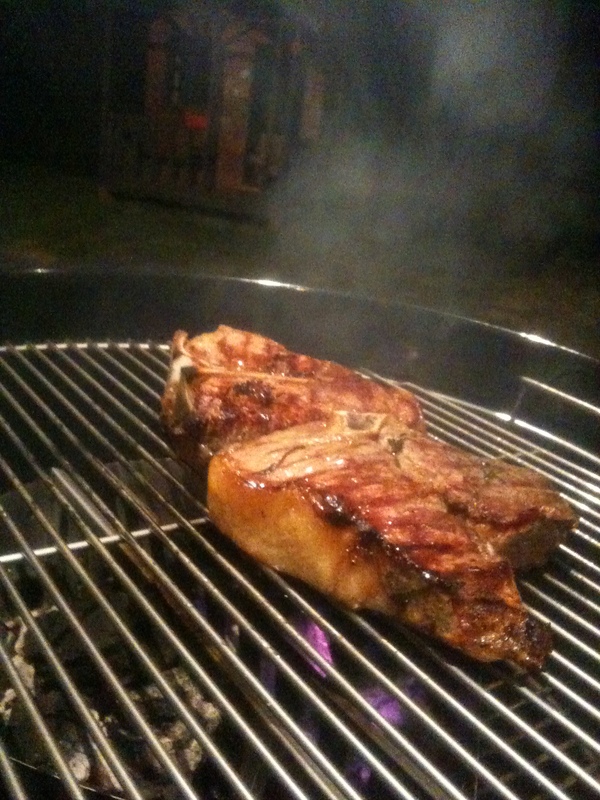 The game is on Sunday afternoon at 2.30pm and if we win and beat our arch rival Essendon, I will be celebrating with Champagne and Florentine T-Bone on my weber (see below 🙂 for dinner Sunday night. 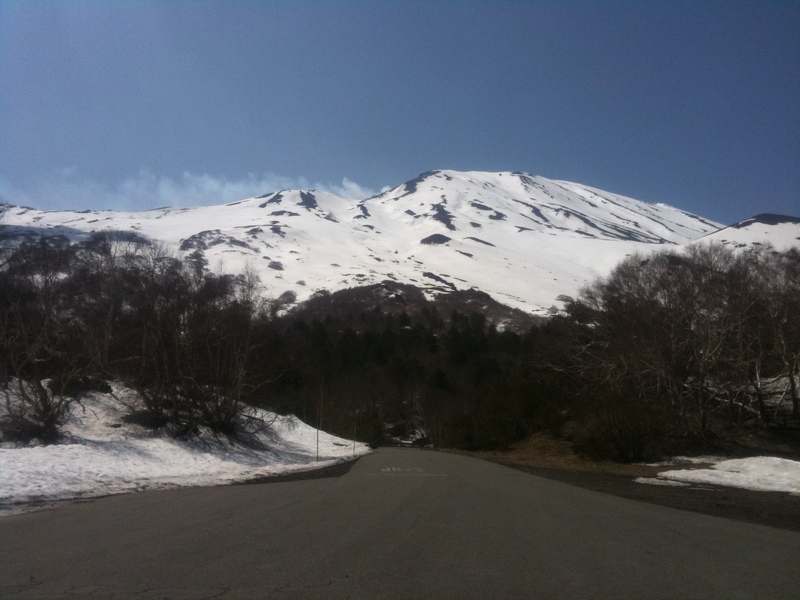 My brother’s trek back to Italy & Mount Etna to do vintage at Passopisciaro…. Being from a good Italian family, my father and his brother bought land out in the Yarra Valley, Australia in the late 1960’s. They bought 120 acres and for thirty odd years this land was used to raise different sorts of cattle more as a hobby than anything else. In the late 1990’s whilst we were at University my brother decided that wine making was his thing, and he along with Mario Marson (ex Mount Mary, Jasper Hill and now Vinea Marson) planted out the first twenty acres of Chardonnay, Pinot Noir and Pinot Blanc on our site in the Upper Yarra Valley. Fast forward fifteen years and Franco is now considered one of the ‘young gun’ winemakers in Australia crafting out some pretty smart Chardonnay, Pinot Noir and smallish quantities of Pinot Blanc, which has established quite a cult following. Whilst we might be twins, Franco is as Italian as a meat pie and the exact opposite of my brother Stefano and myself. That’s what happens when you become a farmer in country Australia!! Well this year, Franco is making the trek to Mount Etna, Sicily to do vintage at one of the wineries we import and distribute in Australia called Passopisciaro. An Australian with a Southern Italian heritage making Chardonnay in Southern Italy. Passopisciaro do not make average Chardonnay, it is considered one of the best in Italy so it will be interesting to see what he thinks. Mount Etna is one of those special almost surreal places. This is an amazing part of Italy with unbelievable scenery, amazing food and beautiful wine and women. How can you beat that? 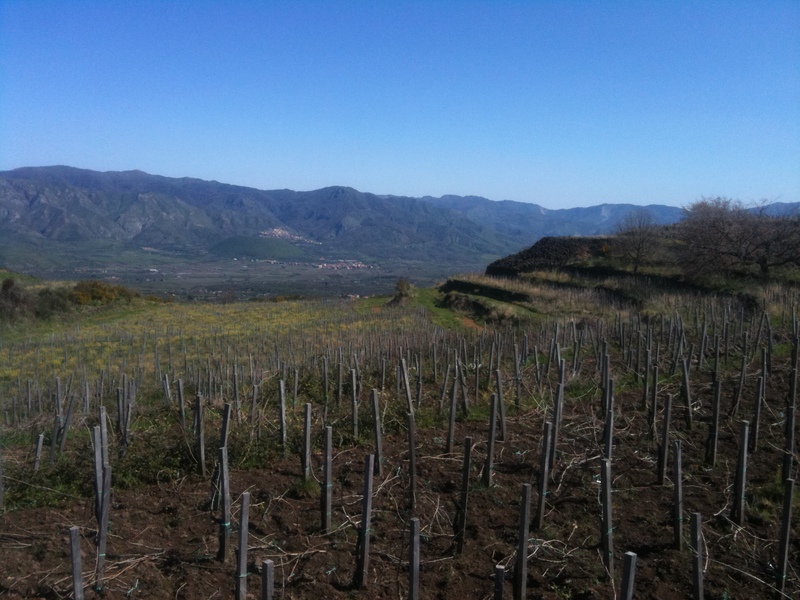 In 2000, prior to the Etna and its ancient vineyards become a place of pilgrimage and home to a new generation of wine, Andrea Franchetti, decided that it would create a new farm on the slopes of the volcano. Born Passopisciaro cellar, 40 acres in the town of Castiglione di Sicilia, on the north side of Etna, about a thousand meters of altitude, where Andrea Franchetti vinified grapes from old and very old vines in the area. The first wine produced is Passopisciaro,nerello mascalese brilliant ruby color, perfume of great elegance, with that extraordinary, mineral depth that characterizes the great wines of Etna. A wine “Bordeaux”, made with grapes coming from the same ancestor Botanical Pinot Noir .The vision of Andrea Franchetti allowed to continue with a high-altitude vineyards in order to reduce dramatically the yields with no risk of overripe and excess alcohol. In 2009, four other producing wines that are named The Contrade Etna: Porcaria, Guardiola, Chiappemacine, Sciaranuova, Rampante.Contradas are cru ‘s Mount Etna, ancient feudal property which over time were split but still well mapped. 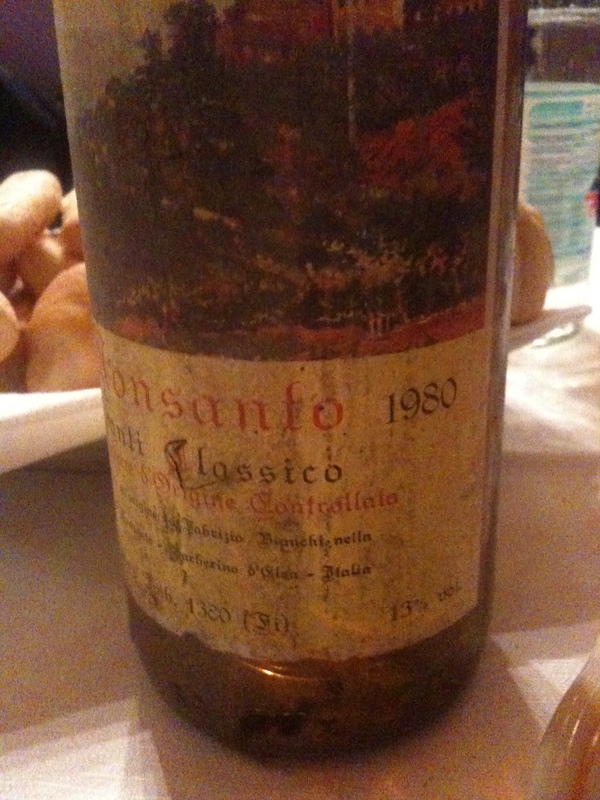 Andrea Franchetti realized immediately that the ‘grapes reach the cellar, gave different wines depending on the district came from. 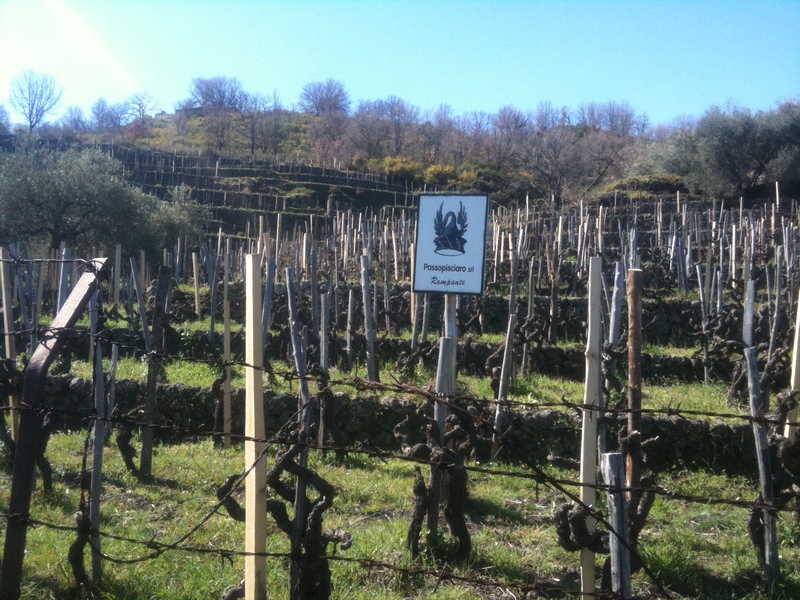 Contradas are each on a lava flow with minerals, grain size and different altitudes: this has led to Andrea Franchetti winemaking wines each district separately. Today, the wine gives his reason, and maintains a prominent place in the excellence of the great red Etna. The Chardonnay is grown at 1000 meters and whilst Chardonnay from Etna is never going to pay the bills, it is a fascinating wine to try. It speaks more of the place than the variety which I do not think is a bad thing. It will interesting to see and taste Franco’s take on it.